This selection of essays demonstrates that, in the study of Buddhism, a concern with detailed accuracy in philological and textual specifics can be combined with wider philosophical and sociological issues. 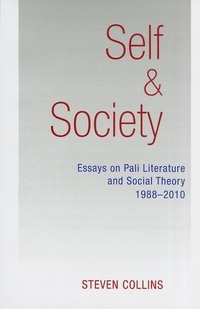 The essays are divided into three parts: (1) Pali Literature, (2) The Theory and Practice of Not-Self, and (3) Buddhism and Society. The last part builds on but goes beyond the work of Dumont and Max Weber in considering "world-renunciation" as a phenomenon of society and culture.